A magical botanical commonly sold and used medicinally as an essential oil for aromatherapy or made into a tea from the lavender flowers or infused into oil to be applied to the skin. It has been used for centuries and in a multitude of cultures traditionally for its effectiveness as a antibacterial, antifungal, and antiseptic agent. …the list could go on and on! 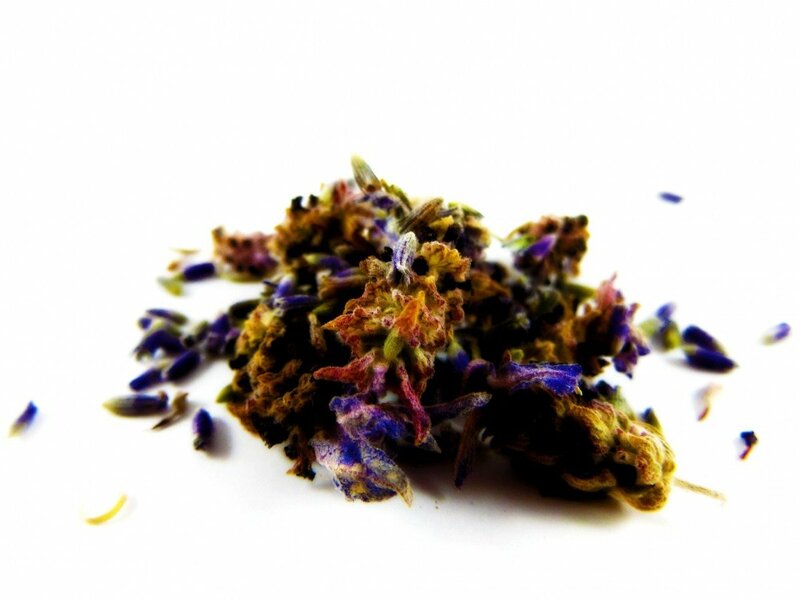 However, the oils are not the only application of lavender that has proven itself. 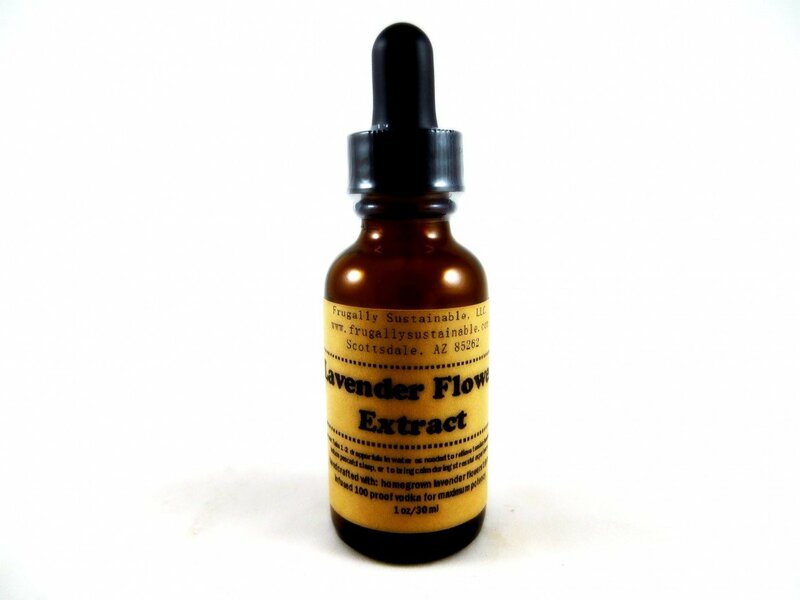 Pure lavender extract — made by the basic principles of herbal tincturing — produces a liquid that is incredibly versatile and can be used in as many ways as the imagination can fathom. 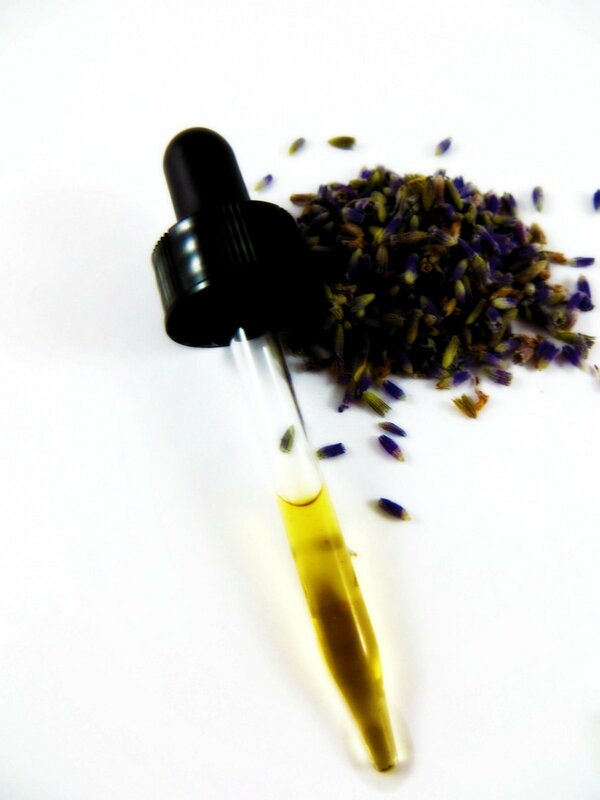 Lavender extract is the new vanilla! 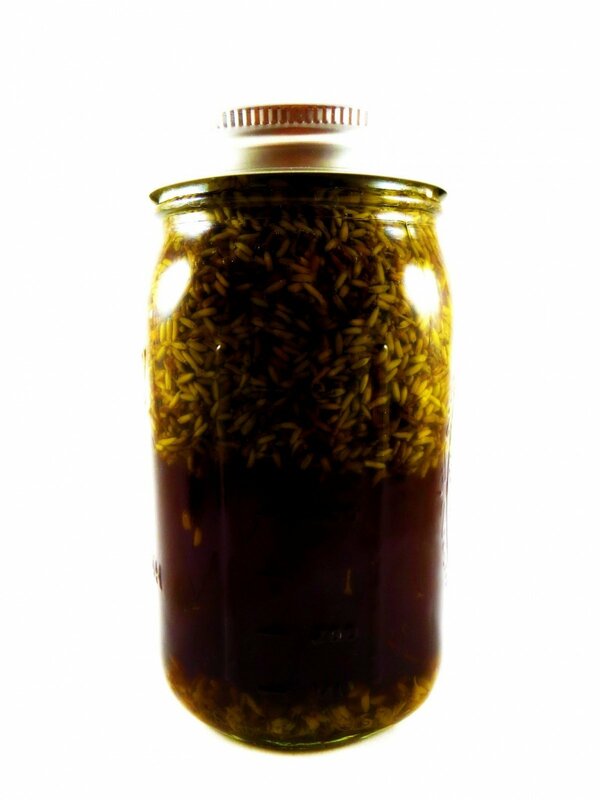 If you’ve made vanilla extract in your kitchen you are assured success with lavender. Use it as you would vanilla or in place of. 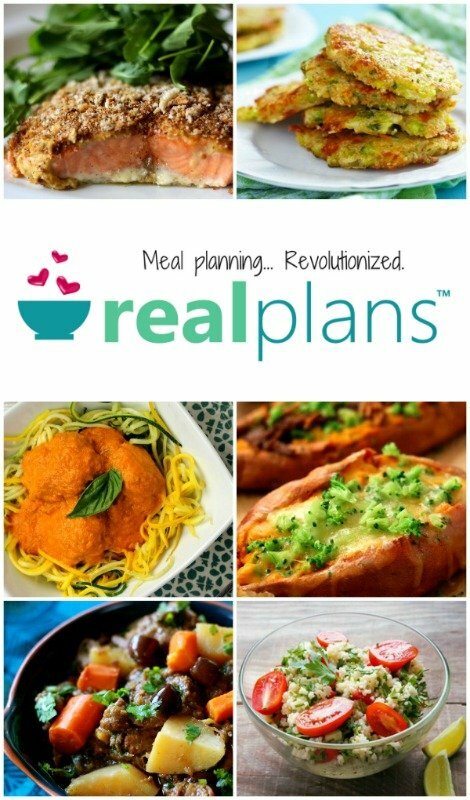 both sweet and savory cooking applications. add a few drops of extract to flavor lemonade, teas, cakes, brownies, cookies, frostings, fruit salads, and ice cream. a manner to enhance the fragrance of herbal sachets and/or potpourri. herbal preparations as an anti-inflammatory, antiseptic, or antifungal. water…take 1-2 dropperfuls in water as needed throughout the day to relief headaches, tension, anxiety, or at night to induce a peaceful sleep. Measure the lavender flowers using a small kitchen scale. Chop the fresh flowers until fine using a blender, food processor, or by hand. Place the lavender in the glass jar. Pour your solvent (alcohol or glycerin), over the plant material until it reaches approximately 2 inches above the herbs. The jar should rest in a warm place, allowing the lavender to soak (macerate) near a sunny window — shaking daily — for 2-6 weeks. Store in a cool, dark place (i.e. the pantry). Note: Alcohol extracts will keep indefinitely and if made with glycerin use within 2-3 years. -Mountain Rose Herbs…they have everything (dried herbs, essential oils, and the cute little tins) you’ll need for this remedy! It’s your one-stop-shop! I thank you for you love and support of quality handmade products! Just out of curiosity. I am always confused about the difference between the full open lavender flowers and the buds which are more ‘seedlike’ and hard. Your recipe says to use the flowers and chop, but the pictures look like the flowers haven’t opened yet. What is the difference between using the unopened flower buds, and the fully open flower, and does this recipe actually use the fully opened flower? Good question, Joan. I would also like to know at what stage should I harvest lavender blooms? They seem to be most fragrant right before they open, while the bud is still tight. Also, I have a tip for those people out there who, like me, have had trouble growing lavender in the past. Try growing it in containers with a fine quality potting mix in a sunny location. I have never been able to grow lavender in my heavy Ohio clay soil. This year I’m finally having success with it growing in containers. My lavender is abundant this year. Thank-you for ideas how to use it. I am making the lavender extract using vegetable glycerin. I found that it is a little difficult to judge the amount of glycerin to add because it takes time for the lavender to settle before you can see 2″ of liquid. With the glycerin the liquid is at the bottom and the lavender will eventually rise to the top in a tight clump. I have more than 2″ after it settled for 15 minutes. We’ll see how it turns out. I am wanting to make oil infused with lavender… Would the process be the same but substituting maybe olive oil for the alcohol? I have a question on using fresh lavender (or any fresh herbs). I read from Mountain Rose (I think it was them) that if you use fresh herbs, let them wilt for 12 hrs. before you make your infused oils with them. They said it would allow moisture to get out of them, or else they would go rancid. I just did this with some fresh Calendula flowers. Now I am worried that they will go rancid nevertheless. Would adding the contents of a Vitamin E gelcap (I have a 1,000 I.U. size) help prevent the rancidity? Also, I tried the same Calendula in glycerin like Carol did. I notice the same thing about the flowers floating to the top because the glycerin is so heavy. 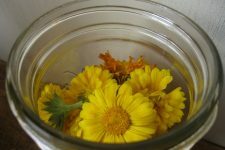 I also noticed that the Calendula in the Sweet Almond oil is coloring the oil quickly, whereas I see no color change in the glycerin. Will the glycerin take longer than 6 weeks for a sunny infusion? Thanks! Thank you for this advice I have a huge bunch of lavender that I picked this year and put in a basket by the front door but I didn’t realise what clumsy oafs my family were and brush all the flowers off everytime they come in and out ! Hey ho …homes and gardens just isn’t for us……now I know what to do with it ! 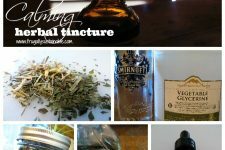 Can you taste the alcohol in the tincture when it’s done? I want to make one to add to water…mostly for flavoring. Would I be better off using glycerin, do you think? This is EXACTLY what I did last year with my homegrown lavender. 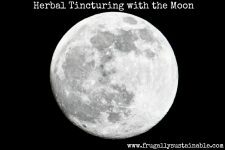 I actually had to use some of my tincture about a month ago because I just could not go to sleep one night! I took one dropper directly, and OMG! It was like drinking perfume! Blecko! I couldn’t get the taste out of my mouth for a good half hour.. but after that? Who knows! I fell asleep! I haven’t slept that good in literally YEARS! So, I know it works!!!! Now my question is, did I do something wrong when I made it that it tastes that bad? I usually love lavender, and cook with the flowers regularly, love the smell, and the taste, and they are pretty to look at too.. so what happened? Can anyone tell me? Thank you! You’re the first site I found with a substitute for the alcohol, which I don’t want in my home made soap.